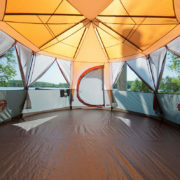 Offering a full 360° view of your surroundings the distinctively styled and eye catching Cortes Octagon 8 Orange tent can definitely be called a glamping tent. 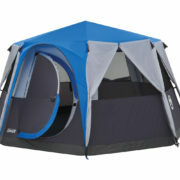 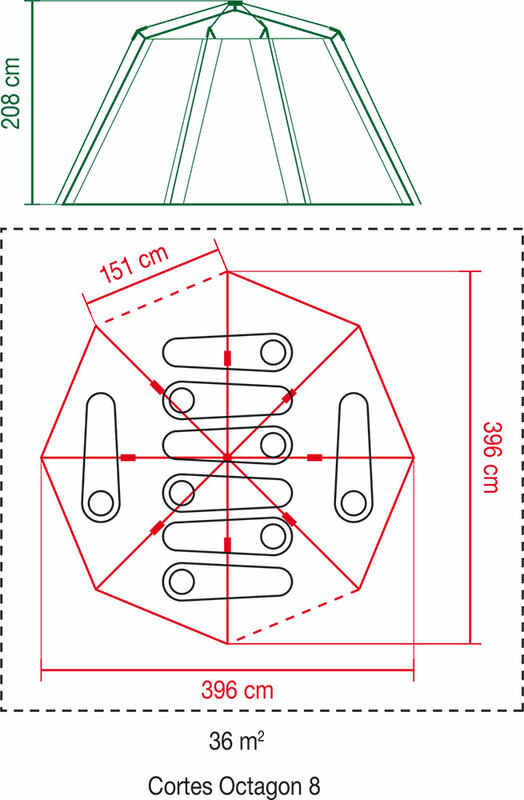 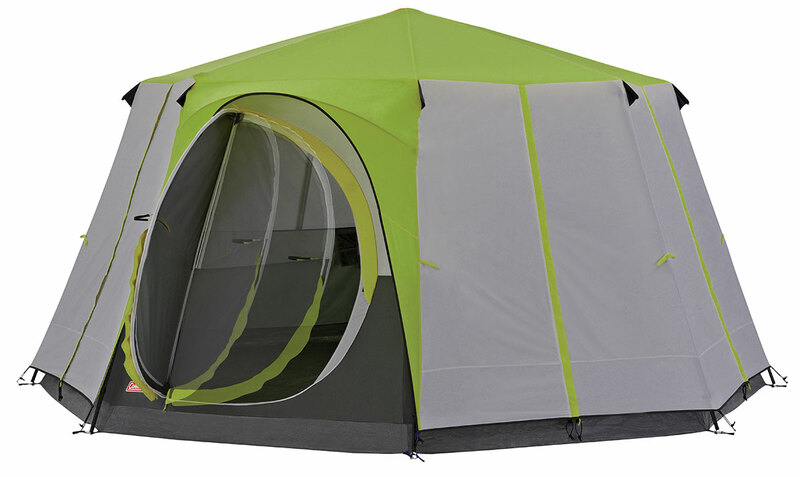 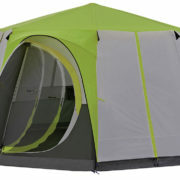 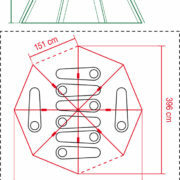 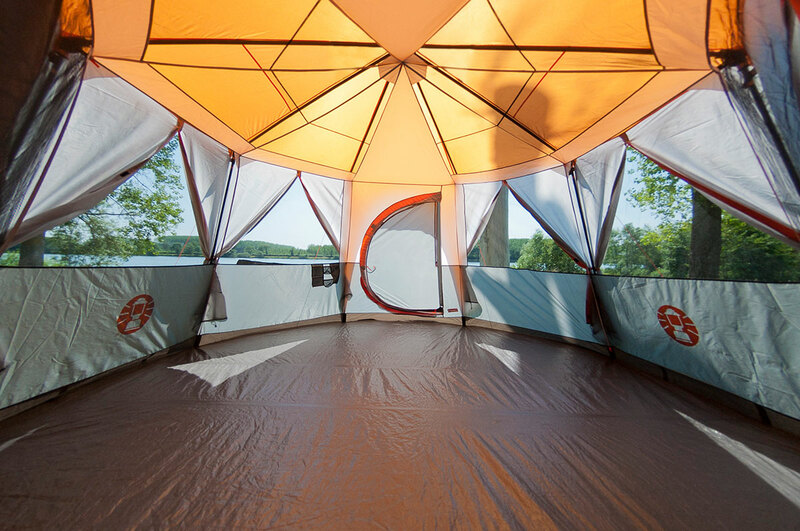 Six of the eight sides open up completely, allowing lots of air and light into the tent. 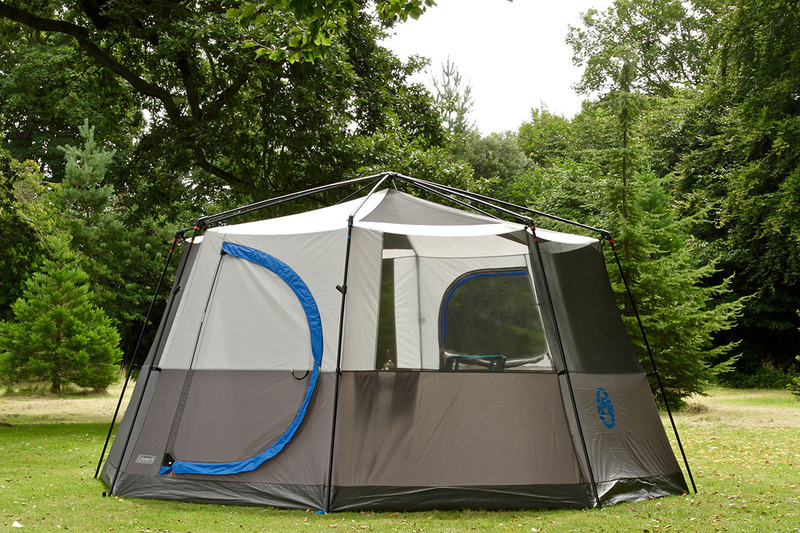 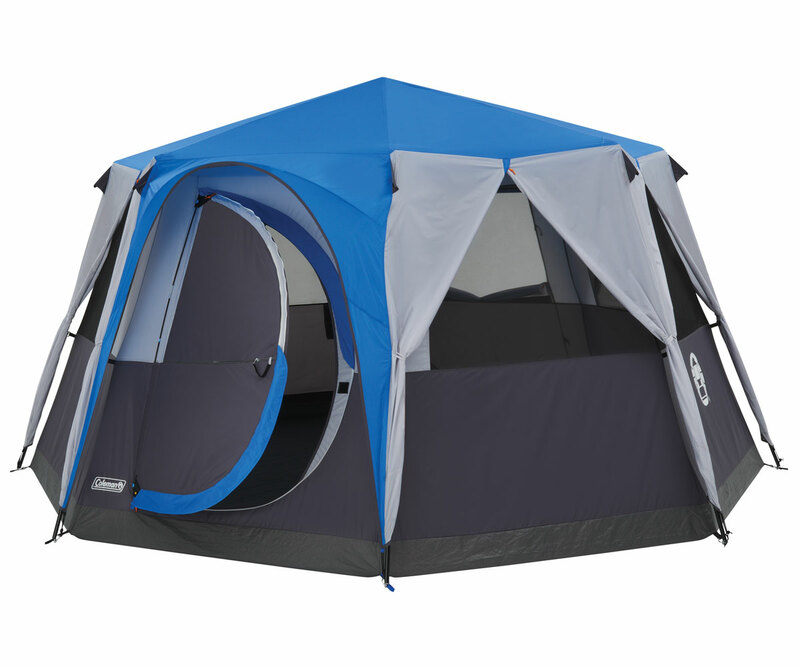 The two remaining sides feature a doorway with the patented Coleman Hinge Door that functions like an actual door, swinging open and shut, making entering and leaving the tent swift and simple. 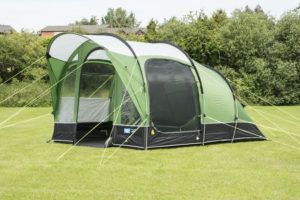 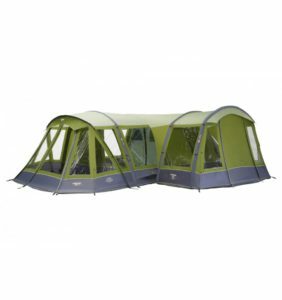 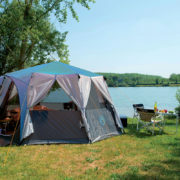 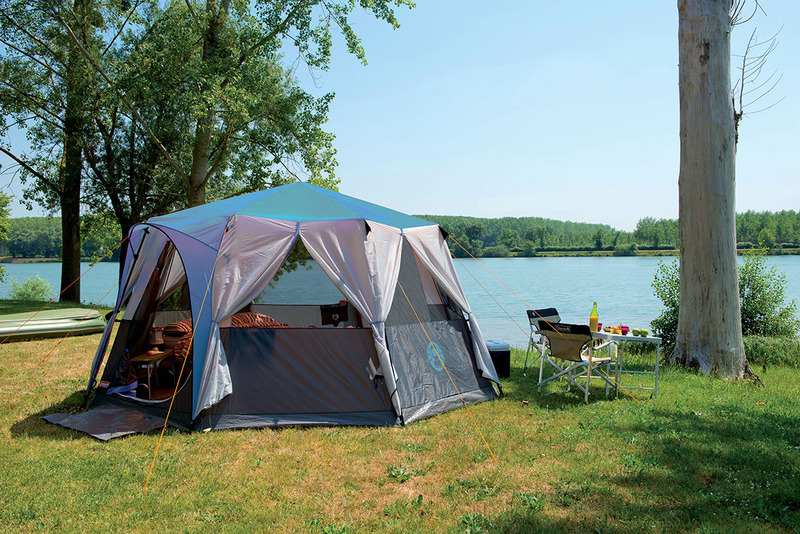 The Cortes Octagon 8 Orange provides maximum living space as the tent is a single large room with a removable partition curtain to segregate it into two areas. 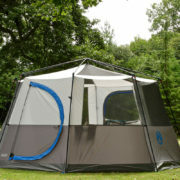 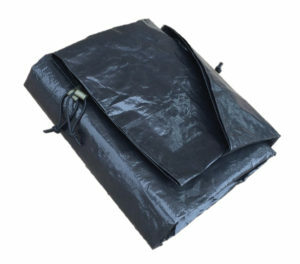 The flysheet can be removed and the tent transforms into a bug-proof screen room perfect for the garden.